If you want an idyllic escape from the medina whilst visiting Marrakech, Morocco, Dar Tafantant is a guesthouse you must consider. 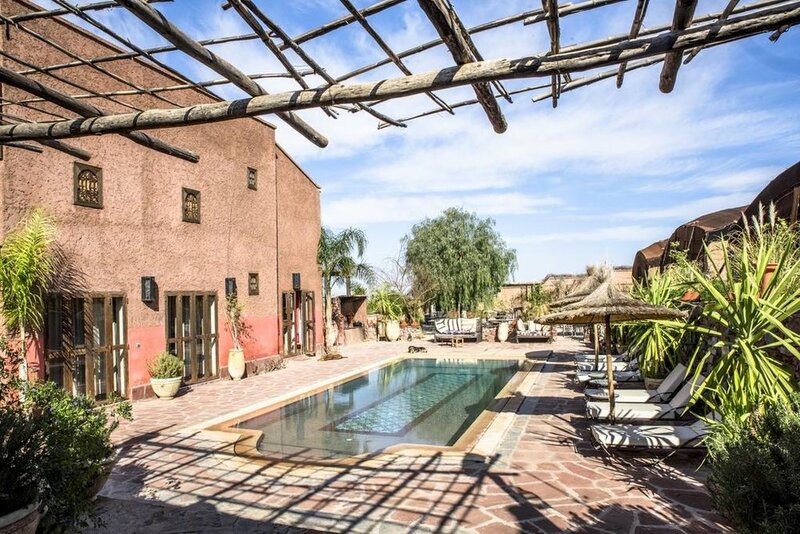 Located 40 km from the city centre, the boutique property offers an outdoor swimming pool, garden, shop (where guests can top up on oils, rugs, honey and more), a traditional hammam and massage room and is a sweet haven nestled in a picturesque setting. 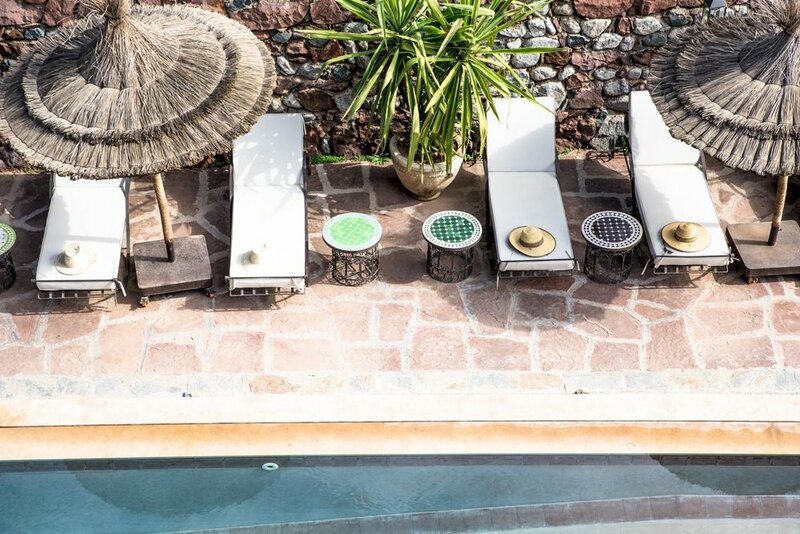 The Dar is an amazing place to relax and base your stay whilst in Marrakech. 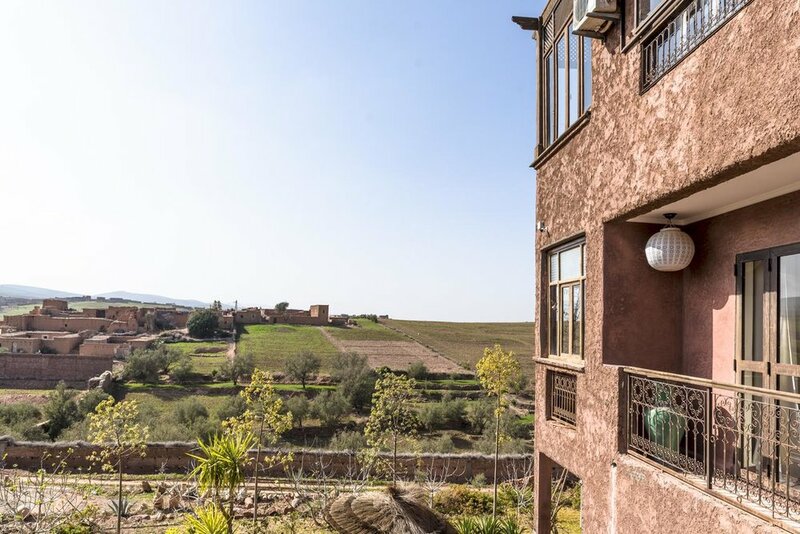 Culture and diversity are guaranteed with the Moroccan accommodation set right by the Atlas Mountains and Berber village. All rooms include a wardrobe, a private bathroom, reversible airconditioning and there are some units that have a terrace for guests to enjoy. 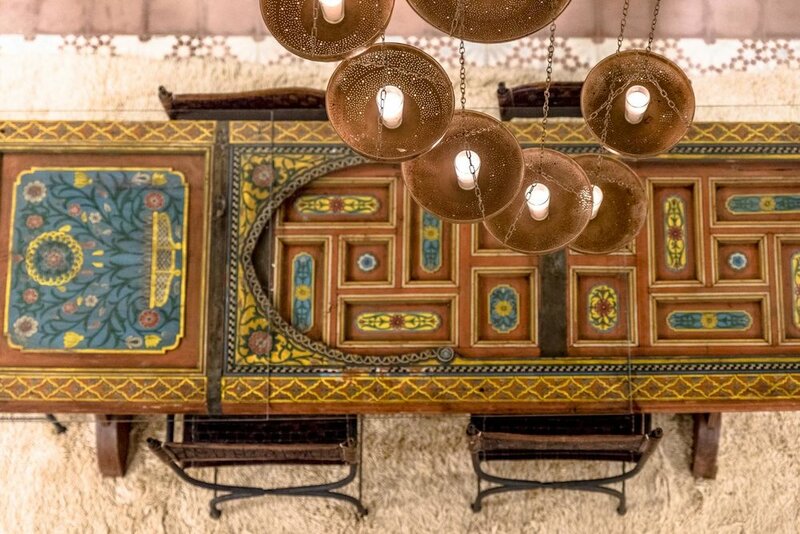 Simple yet chic, each has their own character and are adorned with Moroccan antiquities and tapestries. The Tafantant Suite is particularly impressive, as it has a private terrace with a stunning view over the surrounding villages. It's also bathed in light and decorated with terracotta plant pots on the patio - a serene setting for many to divulge in. At Dar Tafantant, all meals are cooked with fresh organic products, that you can see is grown on the property or from neighbouring farms. Breakfast consists of homemade bread and pastries accompanied by fresh juices and more. In the evenings, you need not venture out to eat as they also serve delicious healthy meals for dinner too. 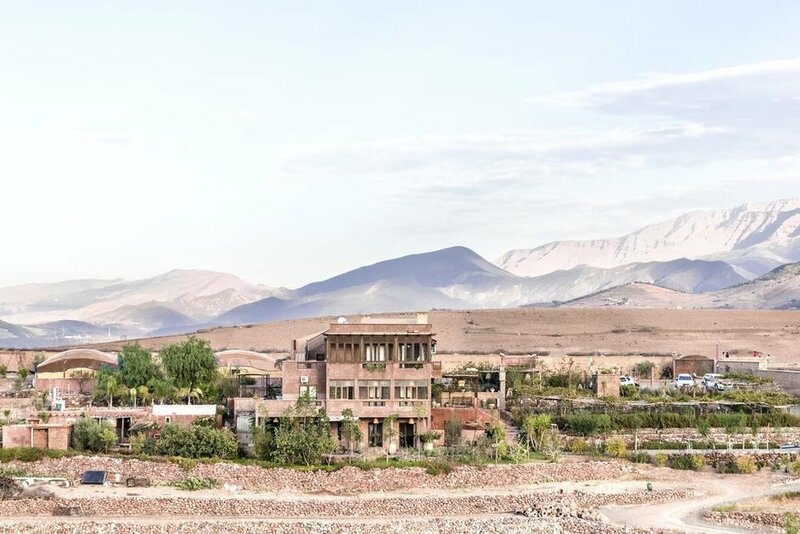 Should you plan to explore outside the Moroccan oasis, the English and Arabic speaking staff are on hand to help organise activities in the region and other parts of Morocco. Private transport and car hire are also available to independent travellers wanting to get around. Nothing is too much trouble for the owner and staff who pride themselves on service and go above and beyond to satisfy their guests.